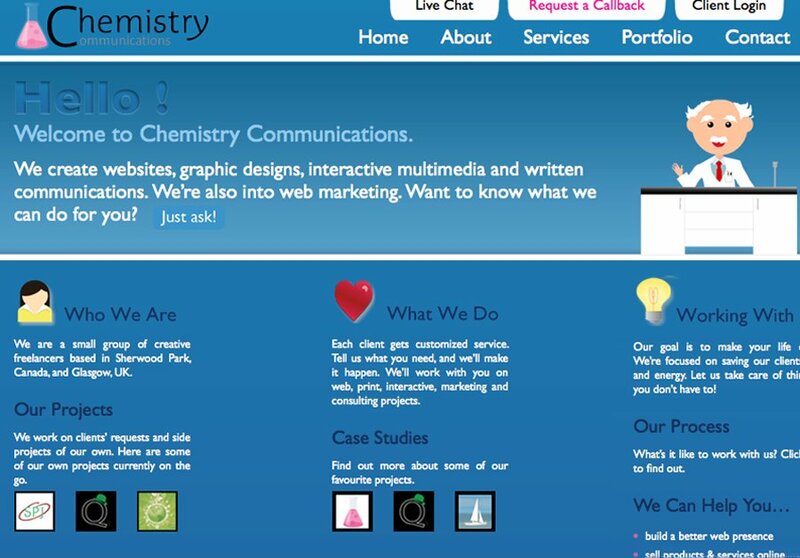 We're a small but perfectly formed communications consultancy specializing in web design and marketing. We also offer graphic design, multimedia, writing & blogging and consulting services. We're big fans of helping small businesses and nonprofits flourish on the web. We are based in Sherwood Park, Canada and Glasgow, UK. This is a screenshot of our freshly redesigned site. Visit to view our services, get in contact and see our porrtfolio.